NASA's Spitzer Space Telescope has imaged this coiled galaxy with an eye-like object at its center. The 'eye' at the center of the galaxy is actually a monstrous black hole surrounded by a ring of stars. 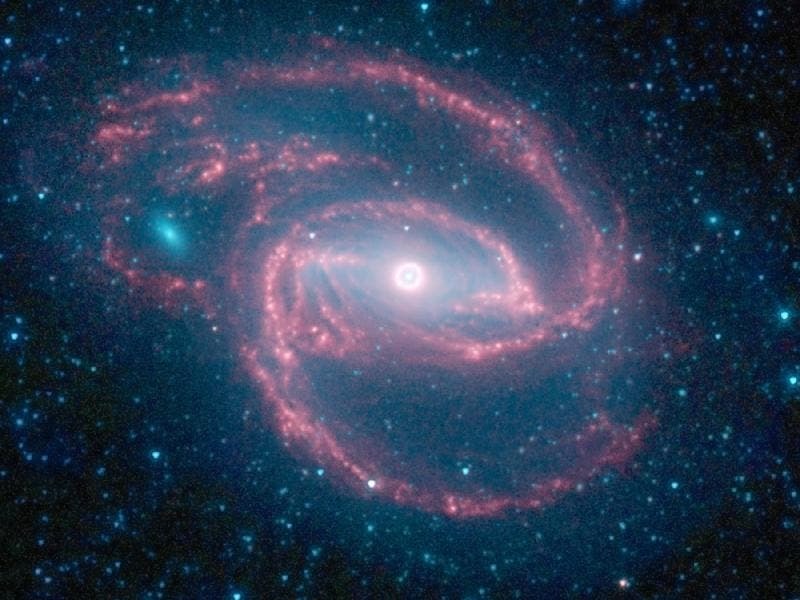 In this color-coded infrared view from Spitzer, the area around the invisible black hole is blue and the ring of stars, white. The galaxy, called NGC 1097 and located 50 million light-years away, is spiral-shaped like our Milky Way, with long, spindly arms of stars. The black hole is huge, about 100 million times the mass of our sun, and is feeding off gas and dust, along with the occasional unlucky star. Our Milky Way's central black hole is tame in comparison, with a mass of a few million suns. 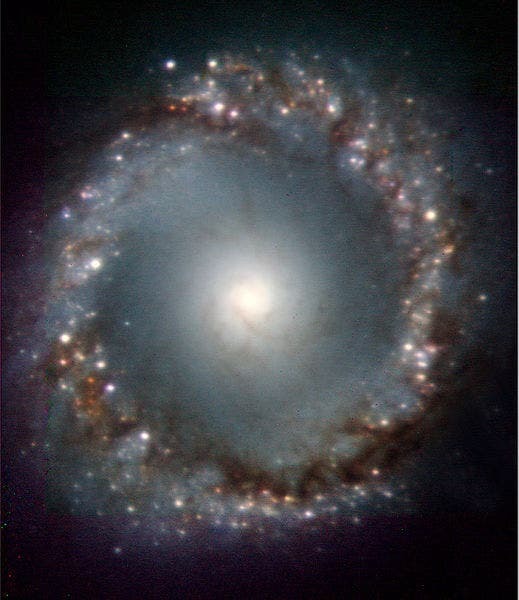 The image below of the central 5,500 light-years wide region of NGC 1097. More than 300 star forming regions – white spots in the image – are distributed along a ring of dust and gas. At the center is a bright central source where the active galactic nucleus and its super-massive black hole are located.